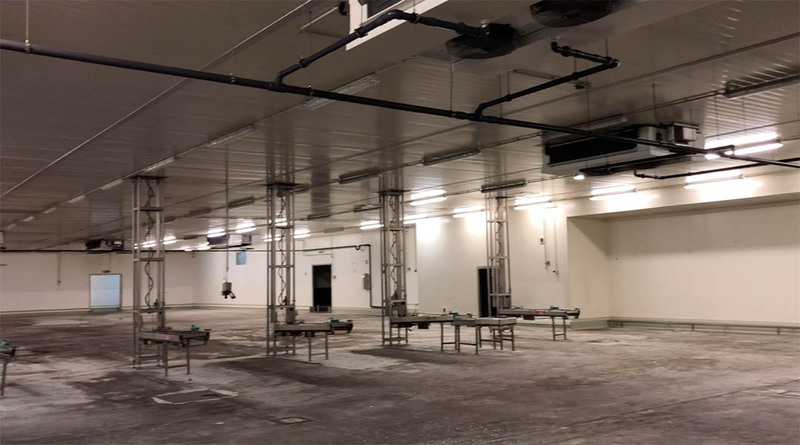 Meat processing company VION Food Group rented the cold storage chambers in Hilden for a long period. 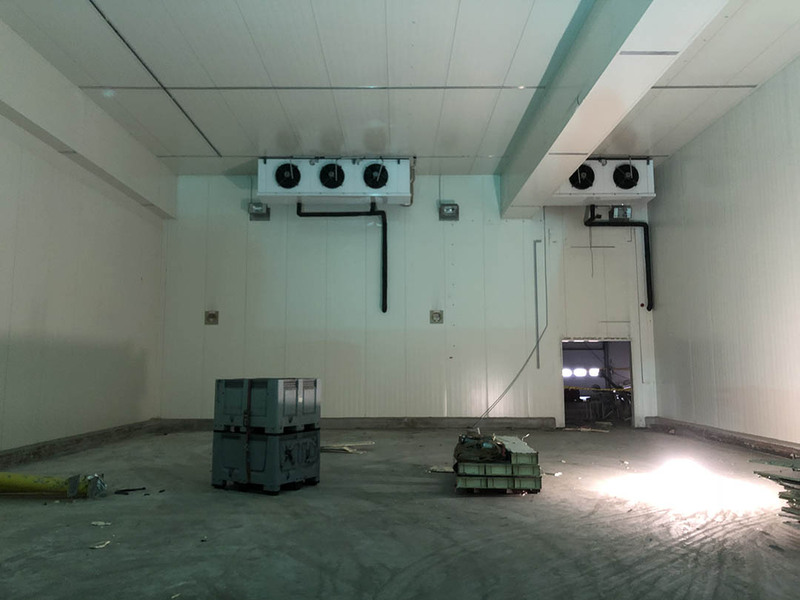 The cold storage has had various purposes over the years, mainly in the meat and food processing industry. 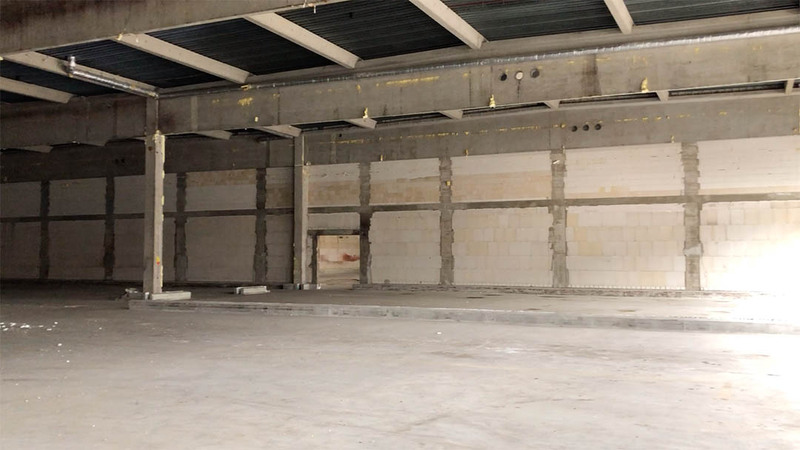 When it appeared that VION would no longer use the cold storage, questions about the future of the building and the location arised. Could it still serve as a cold storage? 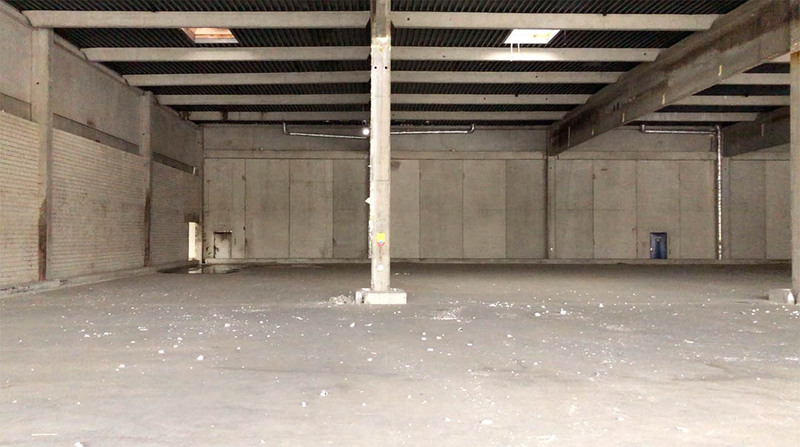 Thanks to the optimal location in the Ruhr area, the possibilities are endless. 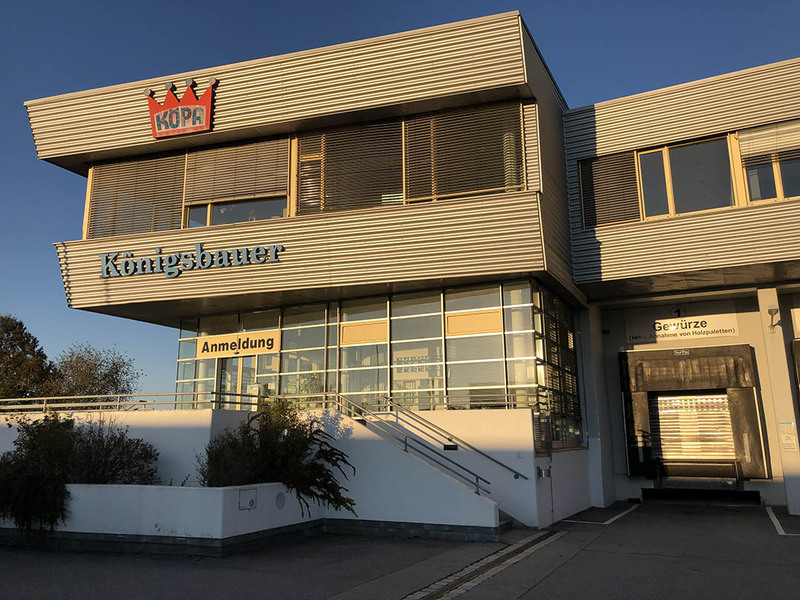 The land and the cold storage in Hilden were bought by the investment company Kappel & Meinel Projektentwicklung. 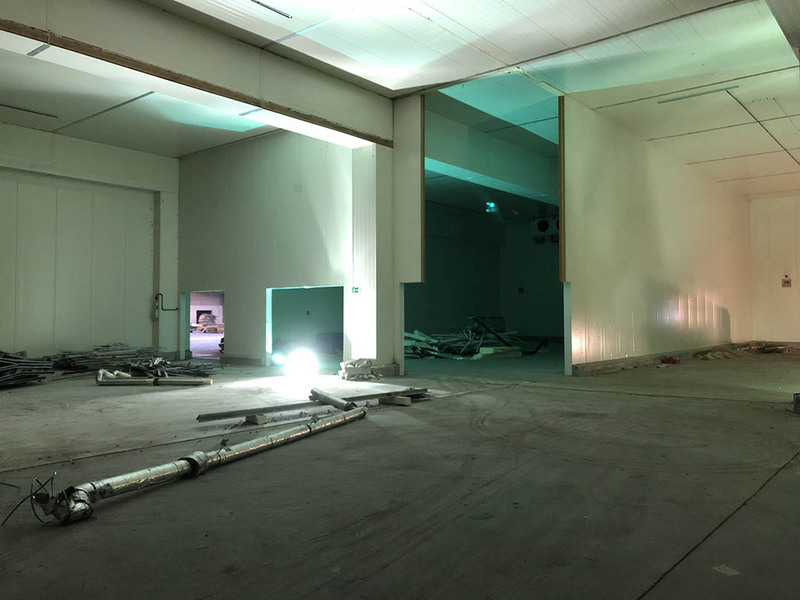 The property will be leased again to a different organisation for the next 20 to 30 years, but it had to be renovated first. 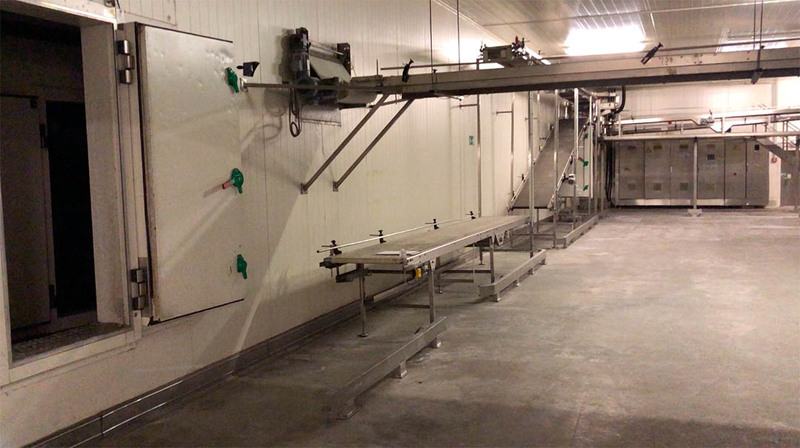 Progressu has previously worked with VION Food Group and completed several projects. 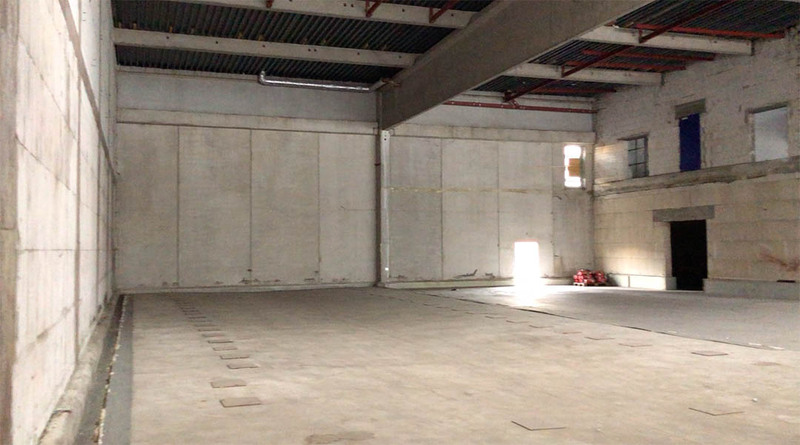 Thanks to VION, we came into contact with the new owner of the land. 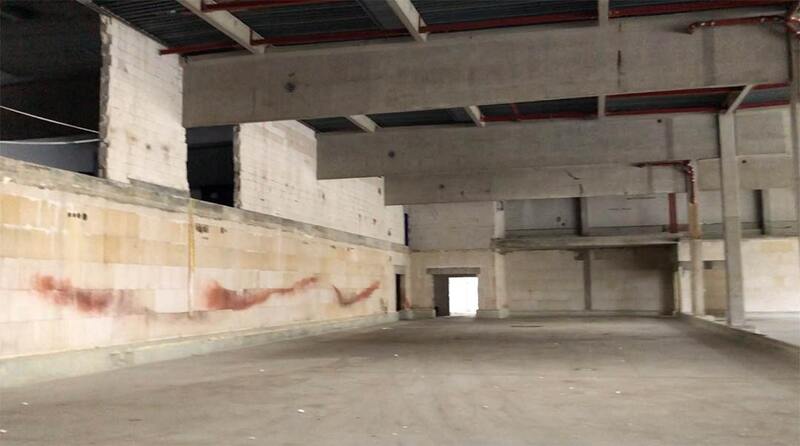 The task to completely strip the cold storage and deliver the building clean was communicated to us. This sounds like a good challenge for Progressu! 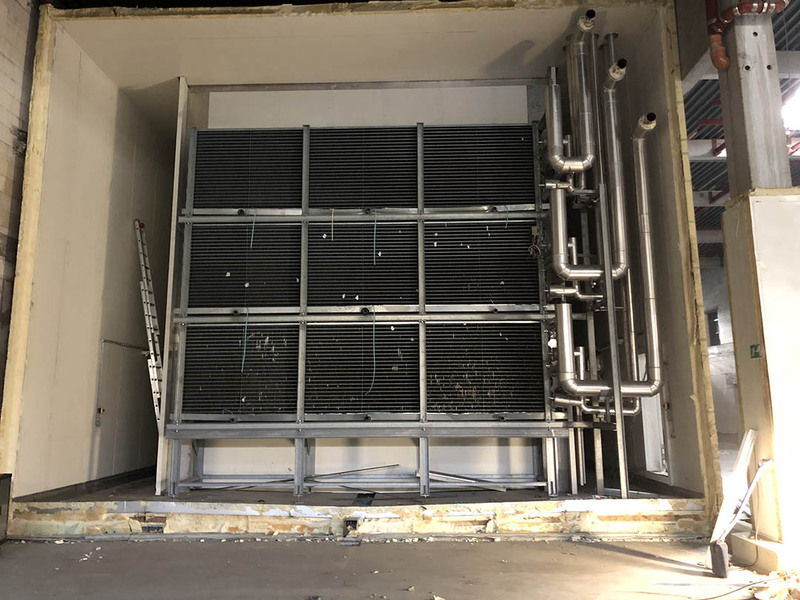 This means that all cooling chamber panels, the complete cooling system, the air supply system, the box freezer, the box transport system, and more will receive a second life through Progressu. 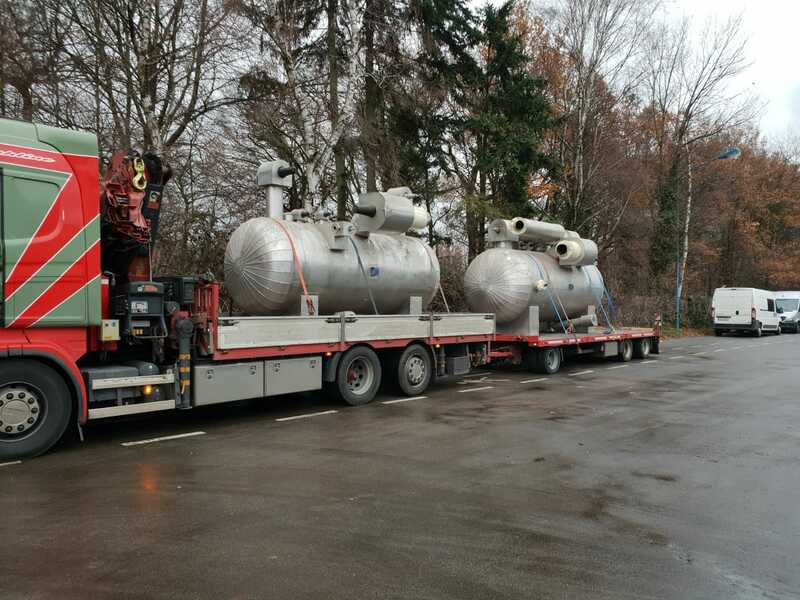 The remains (such as coolant pipes) are expertly recycled. 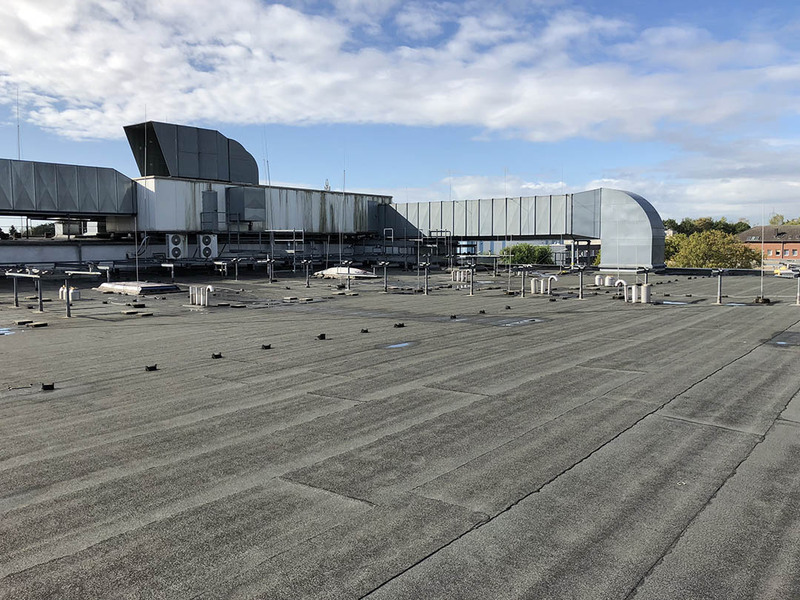 • On 17 September 2018, work starts off on the roof. The weather is still pleasant and sunny, which is perfect for working outside. 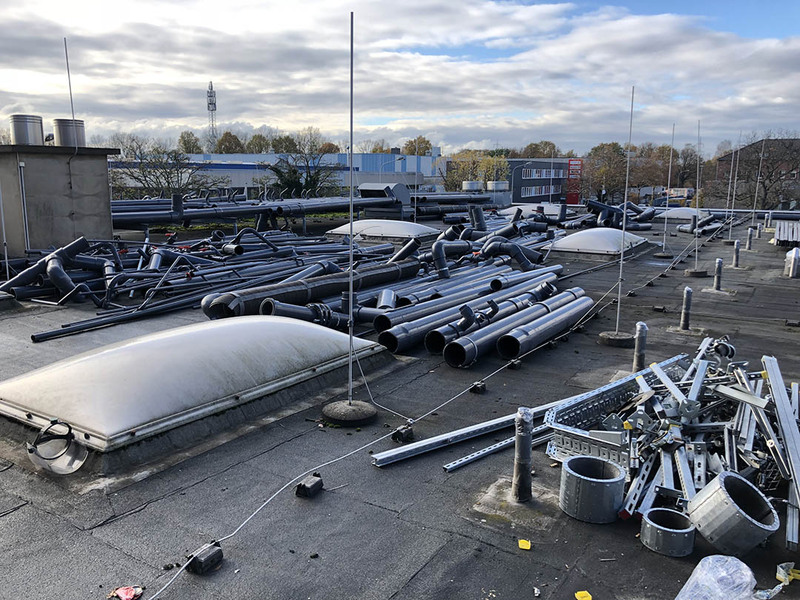 All coolant pipes are being disassembled within two weeks. The last remains are also taken off the roof. 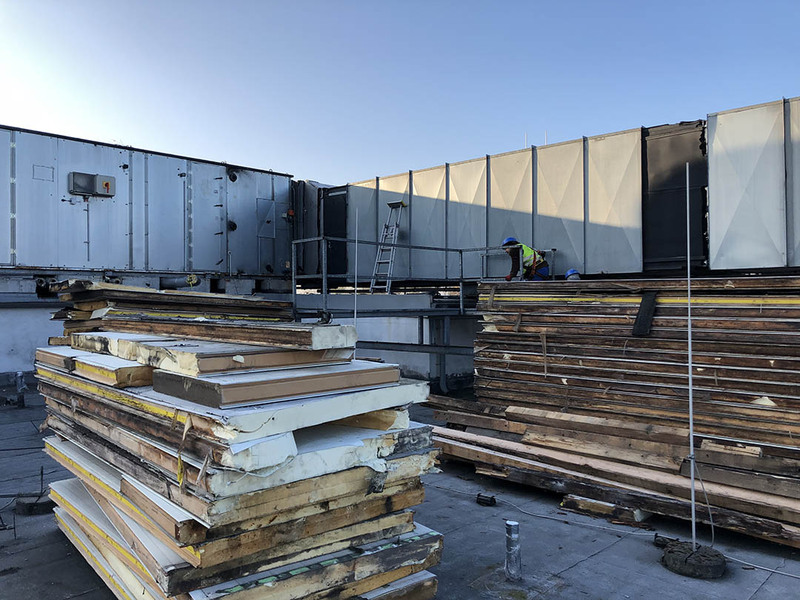 • In October 2018 it is getting colder outside, but our employees can work indoors. 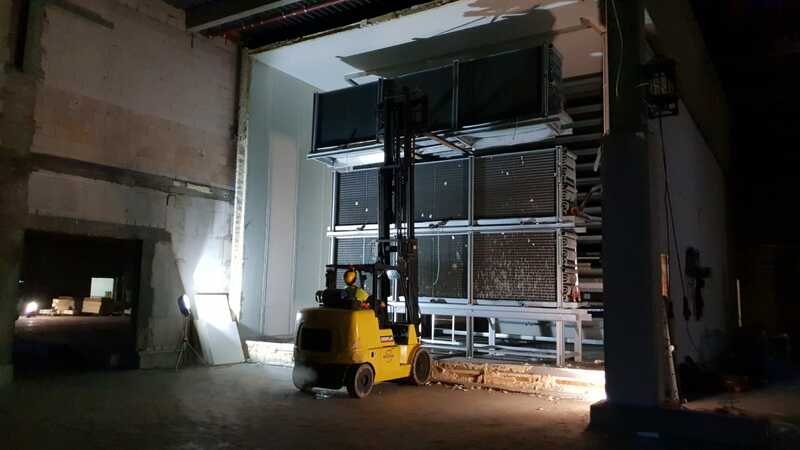 Dismantling the cooling room panels is a big job and takes a lot of time. 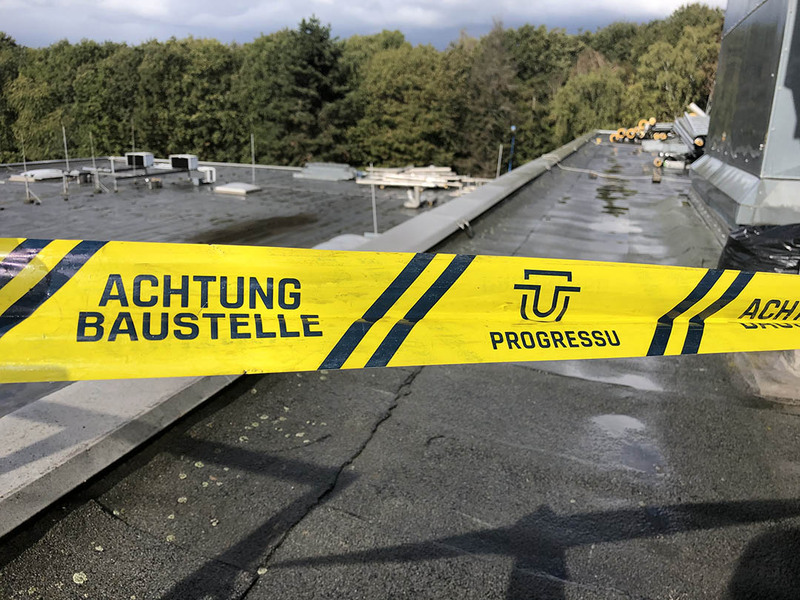 • A construction stop is imposed, but together with the authorities, problems and misunderstandings are quickly resolved. 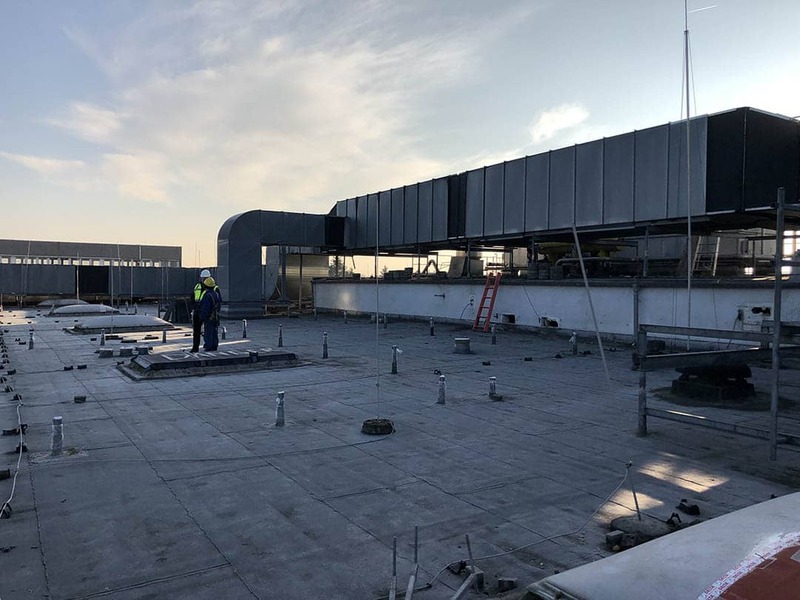 • In November and December of 2018, the last large parts of the air installation on the roof are being removed. 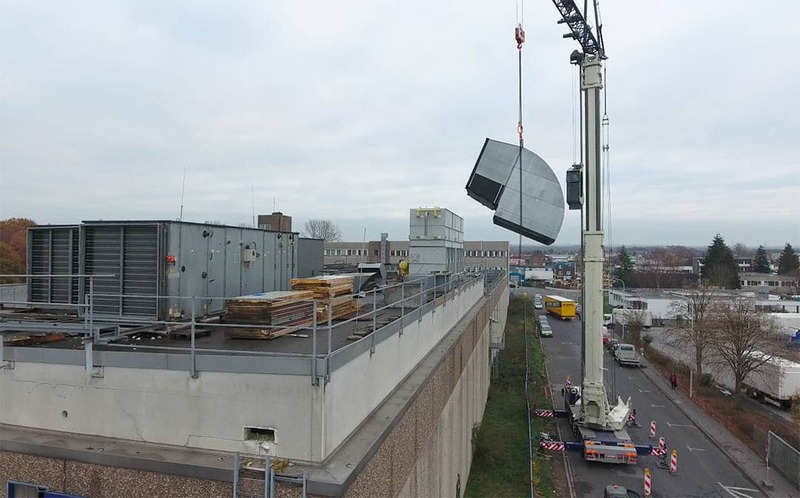 We do this with the aid of a mobile construction crane. 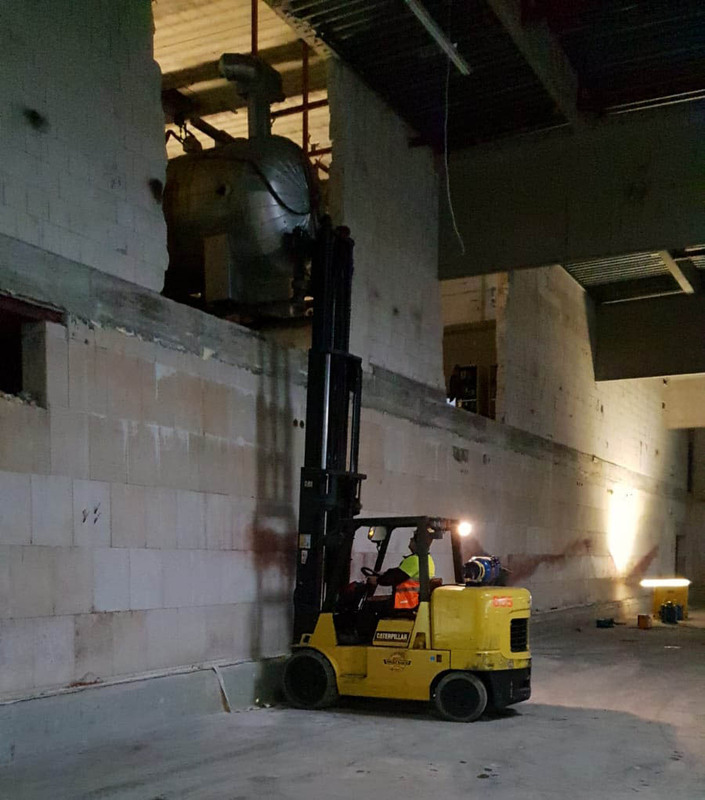 • In November 2018, the compressors are lifted from the upper chamber by means of a 7 tonne truck with extra pitchforks. 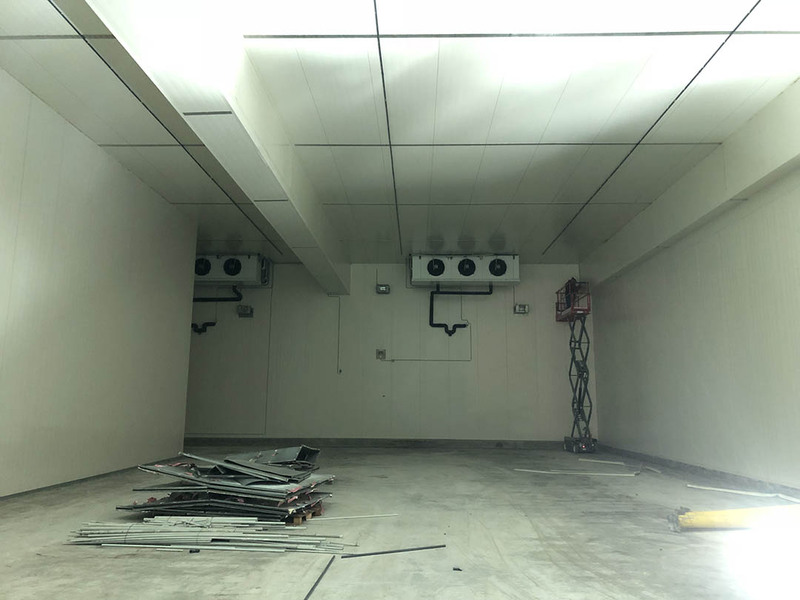 • In December, the disassembly of the huge box freezer starts. 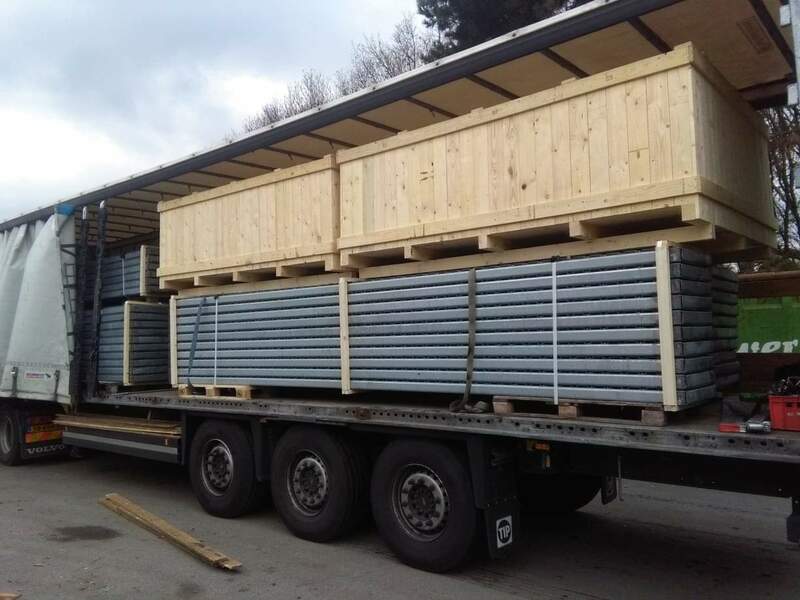 All parts receive numbers and are packed into wooden crates. 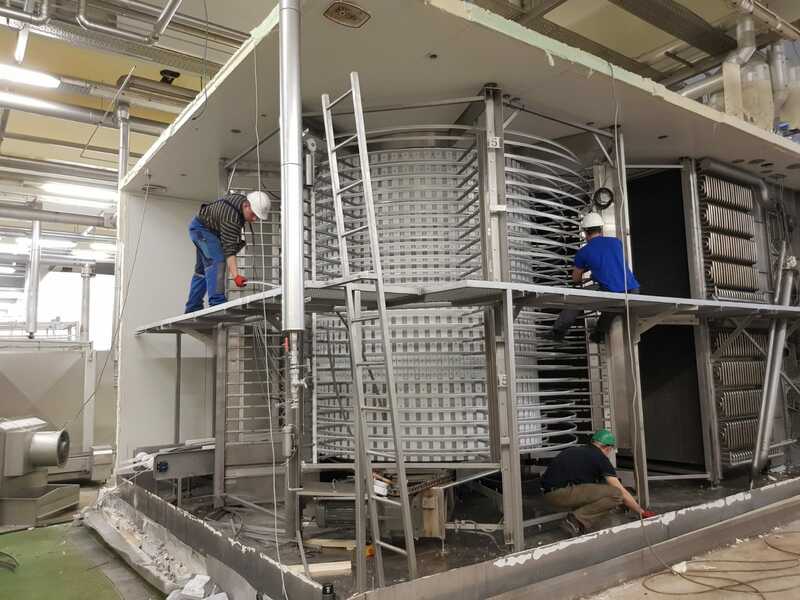 This way the freezer can be easily rebuilt again. 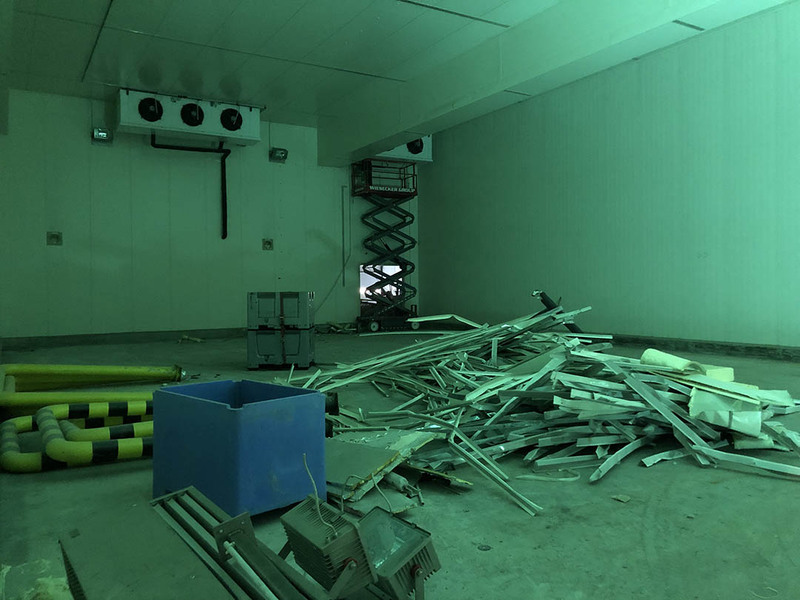 • In January 2019, after the Christmas holidays, the last remains are dismantled and rubble is removed from the cooling halls. 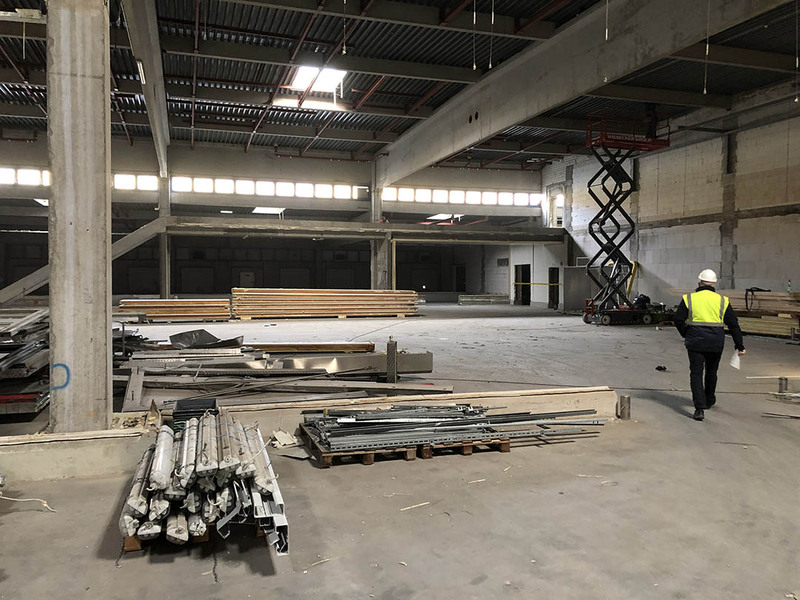 • 6 February 2019 the building is delivered completely stripped and broom clean.